Canada is the second largest country in the world, second only to Russia. So as you might imagine, it is full of beautiful landscapes and unique sites that travellers love to explore. And even though it is tops for wonderful landscapes, it is 37th in the world for population, so you’re not likely to encounter large crowds while sightseeing. Whether you are Canadian, or are just planning a visit to this vast country, below is a list of places that you absolutely should not miss. Named by ‘Outside Magazine’ as the best surfing beach in North America, Long Beach is an almost mystical place. Located on the west coast of Vancouver Island, it’s in a pretty remote location, however that doesn’t stop it from drawing tourists from all over the world. The beach is especially popular during the summer months when surf schools are inundated with newbies. We recommend visiting during the spring or autumn if you want to have a quiet, yet still amazing, time. In the heart of the majestic Rocky Mountains lies the Banff National Park. Glaciers, snow capped peaks, and turquoise green lakes are all easily accessible in this region. Visit during the winter months and you’ll find a vast array of winter sports activities to choose from, including skiing, snowboarding, husky sledding, and tubing. Whilst during the summer, the park is a popular locale for hikers, and mountain bikers. The town of Banff is quaint, yet it is full of great accommodation, dining and shopping options, making it the ideal place to visit for a week or more. Old Quebec is the oldest walled city in North America, and has been granted the status of a UNESCO World Heritage site. Developed with tourism in mind, visitors to the city will find all manner of shops, restaurants, and attractions to keep them occupied. The Lower Town is the oldest part of the city, and is home to some beautiful, old buildings. An array of quirky museums can also be explored. With French Canadian character, and European sophistication, there’s always plenty to see and do in Old Quebec. 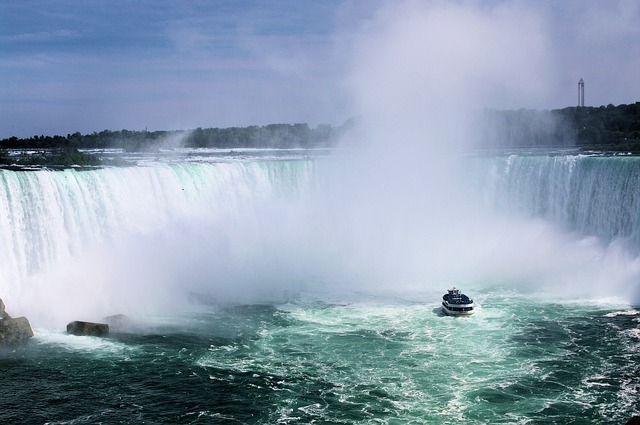 No article listing the most beautiful locations in Canada would be complete without a mention of the Niagara Falls. Canada’s most famous natural attraction, the waterfall attracts millions of visitors to the country each year. Located just over an hour’s drive from Toronto, the massive falls drop approximately 57 metres, and visitors can stand at a relatively close distance to marvel in their beauty. The adjacent town of Niagara Falls and Niagara On The Lake are also well worth a visit. You won’t want to miss Ottawa’s outstanding wine region that stretches through the Niagara valley and produces exceptional wines. Famous for its world class ski resorts, Whistler is an incredibly popular destination during the Canadian winter. However, it is also a great place to visit during the summer, with mountain biking, hiking, golf, and a range of other recreational activities on offer. The town itself has a lively atmosphere throughout the year, and even those who aren’t into sports activities will find the mountainous backdrop and surrounding scenery to be well worth the visit. If you are planning a trip to Canada, consider including at least one of the above, if no all, on your bucket list!